I'd still rather have my Unitys and I listen to a vast range of genres except rap and some EDM. As I understand it, Harman has copied the power response and used it over and over and over again. 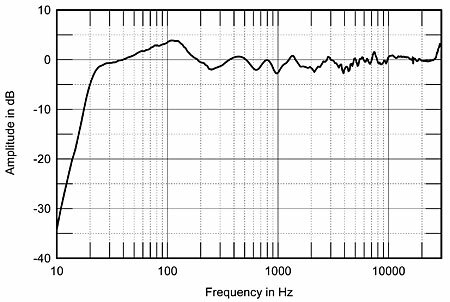 So it gives us some interesting data; if the power response of their speakers is nearly always the same, then why do the speakers sound different? Last edited by Patrick Bateman; 3rd December 2018 at 06:27 PM. Patrick, I don't think that's quite right. I have attached the image from page 399 of the previous edition of Floyd Toole's Sound Reproduction. I'm virtually positive that Speaker A is the Revel Salon 2 and Speaker B is the JBL Array 1400. The bottom dotted curves show the power response. I believe that it would be accurate to say that Harman seems to aim for a similar listening window curve for their speakers. 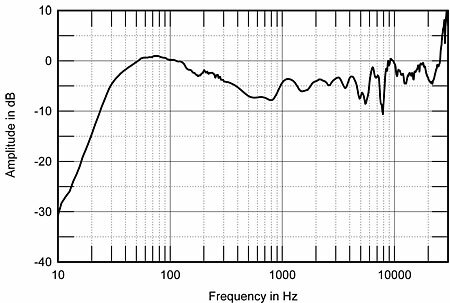 Stereophile's measurements usually include a sentence like "the broad rise in output in the upper bass will be mainly due to the nearfield measurement technique" (from Salon 2). Doesn't that show up when listening and make them sound bass heavy? I think there is way too much going on, in terms of room interaction complications, to try to make a case for direct radiator preference. A 'for instance'.... before I'd try to compare two different radiation patterns, I would want a room with an even rt60 throughout the spectrum. And I'd want a fairly symmetrical reflection/absorption pattern spread evenly around the room. And even with a "perfect room" for evaluation, I still think preference would probably come down to 'what song sounds best on what system'. Horses for courses. It really helps hear what the room is doing, and the interplay with radiation patterns. Try it with stereo, and then each side mono....often big differences..
"When JBL's chief systems designer, Greg Timbers—see —applied vertical horns to the design of speakers for the home, he found that they increased the three-dimensionality of the speakers' soundstaging. However, as Japanese audio critics dislike the appearance of vertical horns, the horns were arrayed horizontally in the flagship K2 models. But, as JBL's Synthesis line was designed for the US market, Timbers was free to stand the midrange horn up again: it stands atop the 1400 Array BG, though the tweeter is still loaded by a horizontal horn." You can see the effect in the measurement you posted; there's a 'blip' in the directivity index at 8khz. If I recall correctly, the midrange compression driver in the JBL is around 2" in diameter. So that 'blip' happens as the midrange compression driver loses pattern control due to the width of the compression driver throat. I have a hunch that the loss of "air" isn't just due to the directivity index, but may also be related to the width of the cabinet. For instance, I listened to the Summas back-to-back with the Danley SH50s, and though their directivity index differs, their baffle width is similar. The two speakers sound completely different, so clearly the crossover and cabinet construction is playing a part here too. And to clarify that comment - the "air" of the two speakers is similar, but the soundstage sounds different, and percussion sounds different. 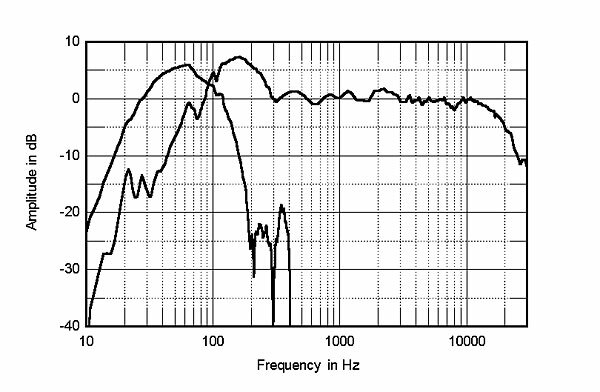 IMHO, percussion is a litmus test for phase coherent speakers. My Yamahas use FIR filters to fix the phase, and percussion is noticeably clear on them. It's too bad I never listened to Sheldon's Unities back-to-back with my Summas; IIRC, both use the same compression driver and a similar woofer, so it might be a closer comparison than the SH50 vs Summa. Obviously, narrow cabinets have long been known to image well. Last edited by Patrick Bateman; 3rd December 2018 at 07:20 PM. I long ago came to the conclusion that sofit mounting or in wall speakers are the way forward if you can have them. I have read Toole and Linkwitz and lately the white paper on The Beo 90. I built some nearly omni directional speakers, some narrow baffle and wide baffle speakers for comparison. All to conclude that wide dispersion pattern speakers, or those tending towards omni pattern, bounce lots of sound off your room walls and those reflections give the listener lots of information to really precisely locate the speakers in the room. So it creates a new performance into the room. Really dead, no reverb, dual mono stuff like a few early Beatles, sounds like the performer is sitting there where the speaker is. If there is recorded ambient information, it gets mixed with and confused with the room ambient information. The Beo paper says the image exists almost on a line between the speakers for omnis. Narrow controlled dispersion speakers, however the radiation pattern is achieved, minimize room interaction and sort of open a window into the original performance space, as the recorded ambient sound can dominate. So the performance seems to be back through the window. So depending on what you are listening to, it would be great to have both wide and narrow available. In room,..... I strongly agree...and it seems many studios do too.